Look below for beauty salons in Houston for all budgets. Find one near you below! 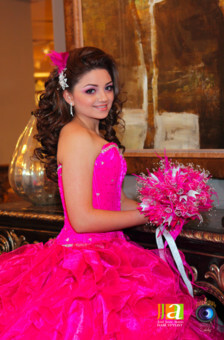 Our partner salons specialize in weddings and quinceañeras. Whatever style of makeup or hair you are looking for, our partner salons can do it for you. Just ask! They have special packages for all price ranges. And most offer discounts when you tell them you found them on 'My Houston Quinceañera'! 122 West Little York Rd.